There are activities we so take for granted and consider so normal in our everyday lives here on Earth we barely think about them – like urinating. But have you ever found yourself in a situation when there was no convenient place to empty your bladder? Perhaps there was only a filthy toilet cubicle in a solitary gas station by the road in a developing country that no one has cleaned since the 1970s, or you were stuck in a traffic jam on a busy highway with no place to hide away from the sight of fellow drivers. Yes, there are times when something as simple as urinating might become a real hassle. Alan Shepard, the first American to fly in space, would probably have had a story to tell about this topic. “Do it in the suit!” – that’s what he heard back from the ground control center after inquiring how he can relieve himself during the Mercury Redstone 3 mission. 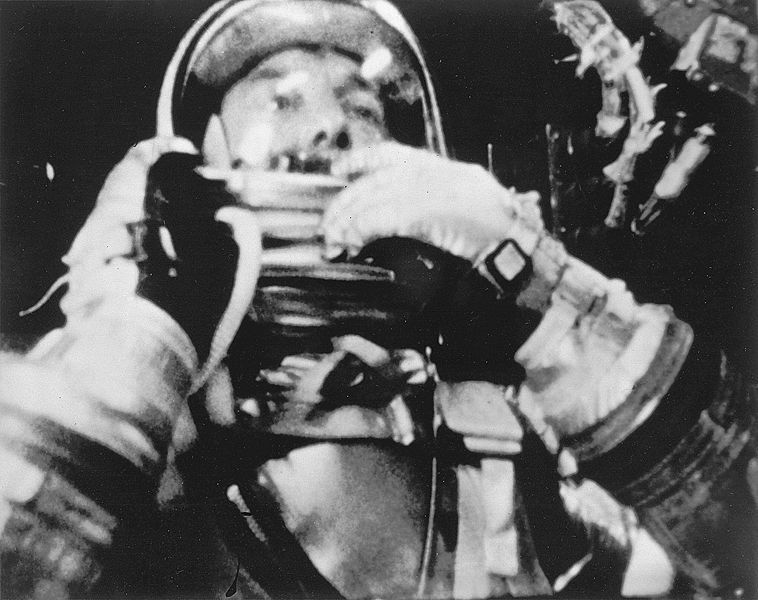 Alan Shepard, the first American in space had to urinate into his suit. The incident, first openly described by Tom Wolfe in his book ‘The Right Stuff,” provoked historian Hunter Hollins to dig deeper into the issues of space-urination. The results of his research have recently been published in the journal Advances in Physiology Education. “I was really amazed and kind of incredulous that they let him urinate in his space suit,” Hollins told ABC News in a recent interview, obviously reluctant to believe the great American rocket scientists could have forgotten about such basic human needs (or did they believe the super-human astronaut would be free from animal urges?). According to available accounts, Alan Shepard, not having other options, peed into his space suit, short circuiting electronic sensors designed to monitor his heart and respiration. – In the video below, Alan Shepard’s infamous “urinary accident,” as reconstructed in the movie “The Right Stuff”. This embarrassing experience, however, prompted NASA to look for solutions – Gus Grissom during the following Mercury Redstone 4 mission was already equipped with basic urine collecting attire. Built and integrated into the suit only a day before the launch, the rather unsophisticated double rubber pants designed to keep urine in an embedded reservoir were far from being comfortable. Maximum Absorbency Garment is quite similar to baby diapers (Credits: NASA). However, the first step was made. After Grissom’s spaceflight NASA finally decided to take the issue seriously and embarked on a development of a more sophisticated device. The team looked for inspiration to devices used by military pilots as well as those for bed-ridden patients in hospitals. They soon found that earthly devices wouldn’t function correctly in weightlessness. Draining urine away from the suit was impossible without gravity, unless a valve was introduced to increase pressure inside the suit during urination. John Glenn, the first American to orbit the Earth on February 20, 1962, was already equipped with a decent urine-collection device. 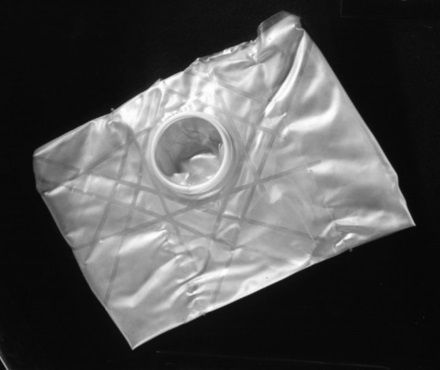 Designed by a team led by spacesuit engineer James McBarron, the gadget was based on a condom design and fitted with a collection bag at the end. McBarron himself tested several condom brands until he found the one he was satisfied with. That he and his team did a pretty good job was proven not only by the fact that NASA stuck with their design with slight modification until the Space Shuttle era, but also by John Glenn himself. The urine collecting device used by John Glenn (Credits: Hunter Hollins). As urine in microgravity floats around the bladder instead of gathering at its bottom, John Glen didn’t feel the call of nature until his bladder was nearly full. He then loaded the urine bag with some 800 ml of liquid. On Earth, the neural sensors start sending signals to the brain to pee when the bladder is less than half full. The urine collection bag of John Glenn has been on display in the US National Air and Space Museum since 1976. In case you haven’t heard about the space toilet, you can take a tour through the ISS with Sunita Williams in the video below. Even today’s astronauts, though relying mostly on the famous space toilet in their daily life in orbit, are fitted with urine collecting pants. Resembling baby diapers, the so called Maximum Absorbency Garment serves as the option of last resort during take off, landing and extravehicular activity. 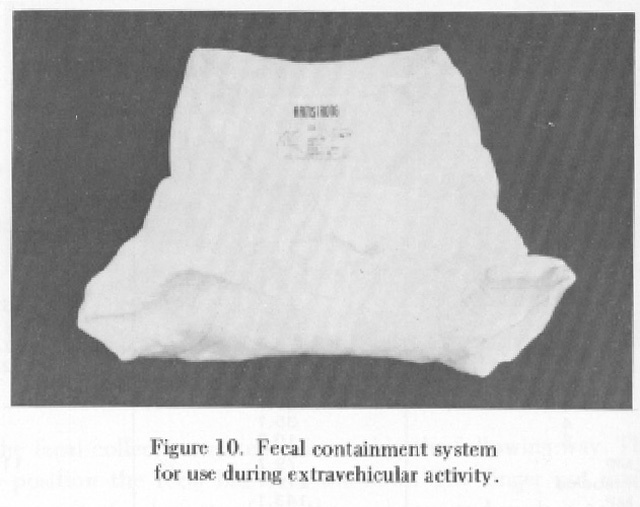 Contrary to the condom-based design, the diapers could be comfortable worn by both male and female astronauts. With a highly efficient absorbent called sodium polyacrylate, the space diapers can absorb up to 300 times their weight in distilled water. The absorbency makes it possible to change the diaper as little as every eight to ten hours without compromising the astronaut’s comfort.